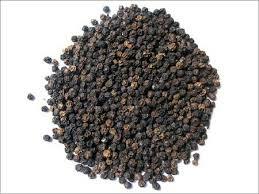 The exports of black pepper dropped to 1,700 tonnes in July 2009, as against 1,950 tonnes in July 2008, with a fall of 12.8 per cent. The cumulative exports for April-July improved to 6,700 tonnes against 9,500 tonnes in the same period of 2008-09. In July 2007, exports were at a monthly high of 3,460 tonnes. The existing pricing pattern favours a much higher import to India as Indonesia and Vietnam offer lower tariffs than India.